Sometimes people need a gentle reminder! 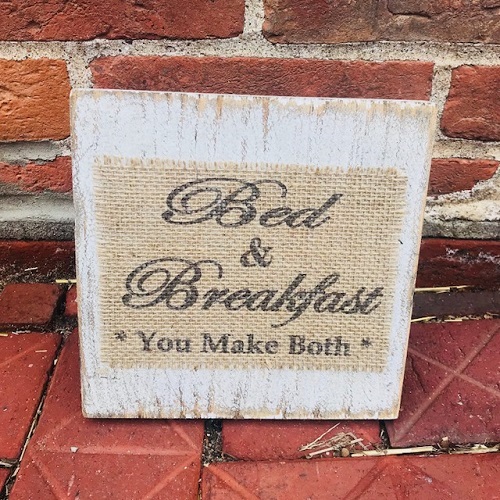 Bed and Breakfast you make both! Cute plaque to have as a reminder! These signs are 12" painted wood with a printed burlap sign attached.